Last week marked the final airing of NBC’s low-rated, but critically acclaimed comedy 30 Rock. Comedian Tina Fey starred in and helmed the show, originally about her experiences running the long running, late-night sketch comedy show Saturday Night Live. Along its seven seasons, 30 Rock morphed into a sharp and incisive comedy about show business, and the tough balance between work and personal life. The show wasn’t just a hilarious sitcom, its comedy also springboarded from real life events. Particularly, the show often took potshots at it’s home network NBC, former owner General Electric, and eventually even it’s new owner Comcast (or Kabletown, in the world of the show). The characters on the show weren’t always model employees, but there’s some real lessons about finding great talent for your organization hidden in the wisdom of Fey’s Liz Lemon and Alec Baldwin’s Jack Donaghy. As the show sails off into the horizon, as Jack nearly did in the final episode, let’s take a look at some of the workplace wisdom imparted in the 30 Rock series finale. 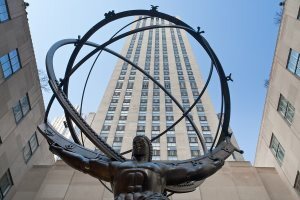 Finding the best talent for your company can be a funny business, and who knows funny business better than the motley crew residing in 30 Rockefeller Center? One of the longest lasting aspects of 30 Rock was the relationship between boss Jack Donaghy and showrunner and general screw-up Liz Lemon. Early in the show’s run, Jack decided he was going to help Liz fix her life. It was a long seven-year road, but Jack eventually motivated Liz to want more from both her life and her career. As Liz’s show TGS ended in the series finale, the pair realize their mentorship relationship has changed both of their lives. When hiring, look for talent who want to be mentored and are looking for professional development. You want to hire employees looking to grow in their career and grow with your company. In fact, a recent survey showed 75 percent of Millennial candidates are looking for a mentor in their workplace environment. A further 89 percent want to be constantly learning on the job. So to attract great candidates, especially Millennials, implement a mentorship program in your company and promote it using your career page and social media outlets. After taking over Kabletown, Jack finds himself in crisis when he realizes he’s not happy even though he’s finally nabbed his dream job. So he gets on a boat intending to find his bliss, which for the first time in his life doesn’t stand for “beautiful ladies in short shorts.” Soon after sailing off, he comes up with a great idea (clear dishwashers!) and heads back to shore. When hiring, you want to look for candidates who have found their bliss. Candidates who know this is the right industry, job, or career path are more likely to stay in your company and continue to bring value for years to come. In the interview, whether it’s a video interview or an in-person sit down, make sure to ask specific questions about why the candidates enjoy your industry or the particular job. Ask them to get specific about their career goals and envision what their ideal job would look like. If their career goals align with your organization, like Jack’s do with GE, you know this candidate will be a good fit for years to come. During the 30 Rock finale, Tracy Jordan’s friend and entourage member Grizz mentions his plans for after the show. Liz initially dismisses Grizz because she has more important work on her plate. But in a flash forward to a year later, we see Liz is working on a sitcom based on his life called Grizz Herz. Just like Grizz, you never know where a great hire might come from in your organization. This is why you should implement an employee referral program. After all, in 2011, employee referrals were the number one source of external hires. Make sure you incentivize the program and make it easy to use, so all employees in your organization will refer talent. Your next great hire might be hiding in the network (or entourage) of someone you never even dreamed of. In the penultimate episode of 30 Rock, NBC page Kenneth Parcell goes from one of the lowest positions in the company to one of the highest when Jack elects him president of NBC. Jack sees that even though Kenneth might not look like the right choice on paper, he actually loves television more than anyone else applying for the job. This makes him the perfect person for the position, and is probably why an immortal Kenneth is still heading up the network when Liz Lemon’s great-granddaughter pitches her own version of 30 Rock. Just like Jack realized Kenneth was the right person for the job, don’t forget to look for talent in surprising places. Just because someone might not have the qualifications you’re looking for doesn’t mean he or she can’t excel in the position. After all, cultural fit can sometimes be more important than having every single one of the qualifications for the job. Someone who fits into the company culture, like Kenneth and his love of television, will be more motivated to stick around the company and add value. In the interview process, whether in person or through online video, focus on whether your candidate would be a good fit for not just the position but also the company culture. See what the candidate knows about the culture already and pay attention to see if he or she would mesh positively with the already established organizational environment. The show 30 Rock might have been a comedy, but some of the hiring lessons the final episode can teach us are serious reminders of how to find the right talent for your company. What are some hiring lessons you learned from NBC’s workplace comedy 30 Rock? Share in the comments!